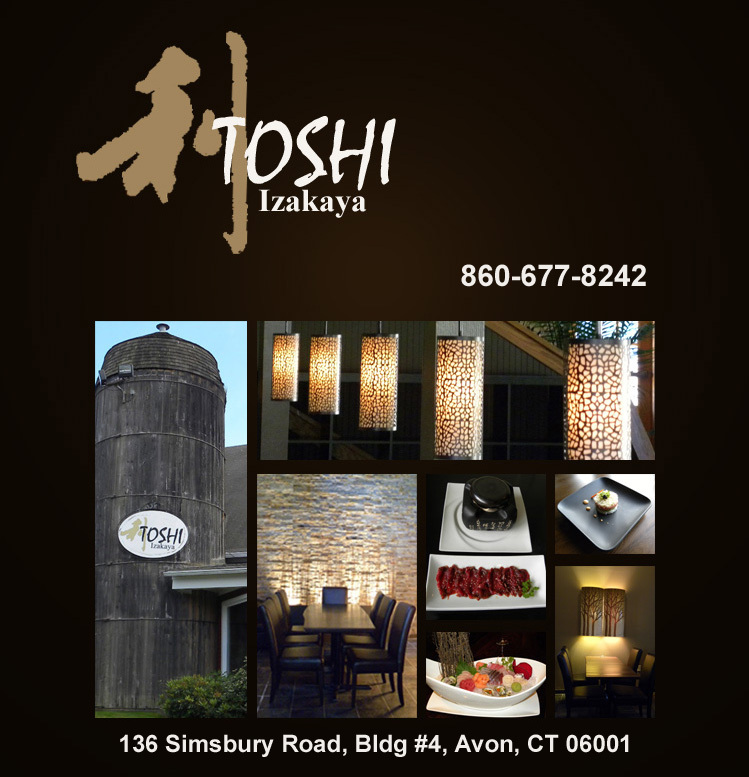 After 15 years dedicated to presenting the finest dining experience to our customers, Toshi Izakaya, formerly known as Toshi Japanese Restaurant, is pleased to announce its first major renovation in July 2012. We're sure that our brand new, friendly, and comfortably relaxing atmosphere will enhance your enjoyment of our superb menu featuring only the finest quality ingredients. Specialties and Japanese delicacies are created and prepared by Toshi’s well-trained chefs. Sake bombs, sake tastings and Toshi signature cocktails are offered throughout the evening. Toshi's seasonal Izakaya Menu will make your dining experience extra special. The private party room is ready for your celebrations or meetings. We also offer off-site catering for your memorable events. Copyright ©2012 Toshi Izakaya. All Rights Reserved.